Vesteda is renovating an apartment building on De Boelelaan. 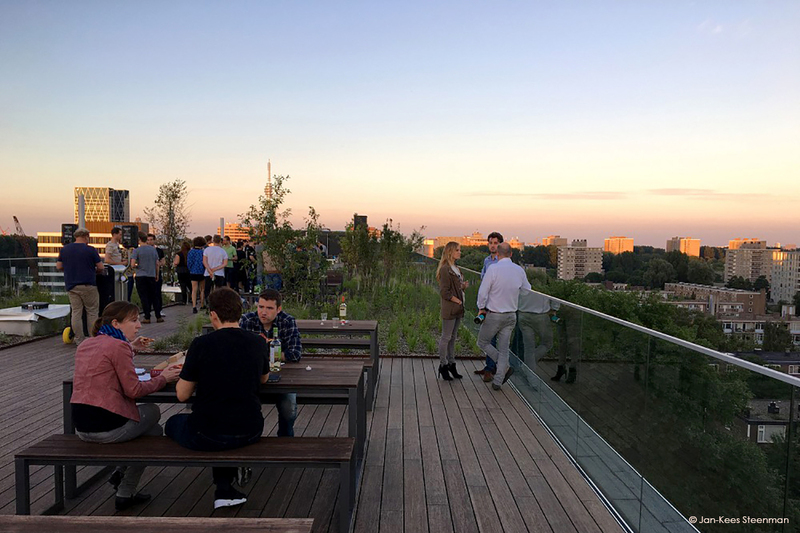 The rooftop of this building, which is 700m2, will serve as a joint roof park for the residents of the building. 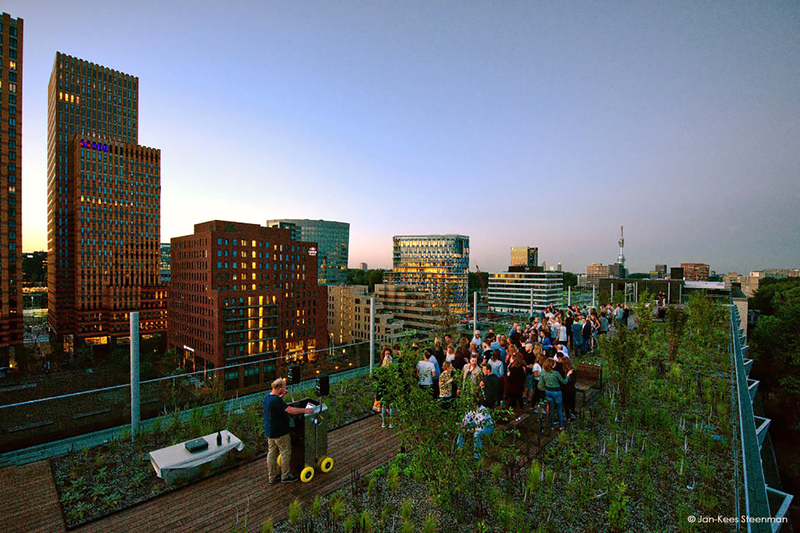 Together with van Heeswijk Architects we’ve made the design for this roof park. Because the whole rooftop was being renovated we were given the chance to implement a good basis for this rooftop. As a base we chose a Polder Roof system to retain rainwater which will be used to water the many plants in this garden. 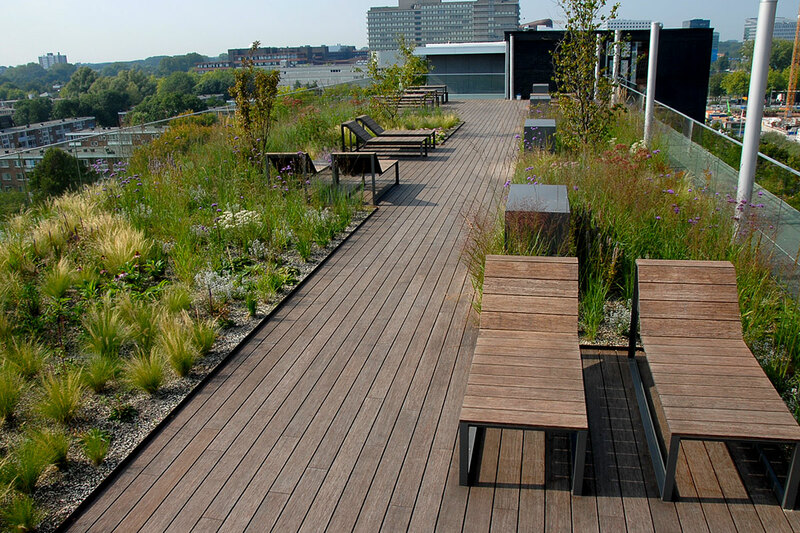 This roof park consists of 450m2 green and 250m2 terrace. We carefully selected these plants and chose a mix of ornamental grasses and indigenous plants. There are many private spots on this rooftop because of the height of the plants. A remarkable detail are the shunt channels which have lights situated on the inside, which makes for a beautiful sight at night. This roof park is a lovely place to hang out for the residents.